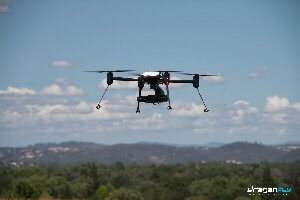 Commercial UAV specialists Draganfly Innovations Inc. - the wholly-owned commercial division of TRACE Live Network - today announced the launch of a new suite of professionally piloted, commercial UAV services. Draganfly Innovations is already one of the leading suppliers of multi-rotor helicopters for commercial use and has been recognized by the Smithsonian National Air and Space Museum as the first unmanned system flown by a Public Safety agency to save a life. The new suite of services match experienced personnel with Draganfly's latest UAV technology, and multiple, changeable payload systems including, high resolution color camera systems, FLIR thermal imaging and advanced, multi-spectral data acquisition systems. Draganfly works with various agencies to deliver the data type and quality required for Collision documentation, crime scene documentation, search and rescue, tactical operations, detailed mapping, aerial 3D scanning and data modeling. Draganfly captures aerial imagery or video for cinematic use, Real Estate photography, construction projects, aerial 3D scanning of structures or property and custom 3D animation of buildings and terrain. Flying the latest multispectral and optical technology, Draganfly Innovations Inc.'s teams are able to capture high quality timely data to track vital trends in crop vigor, analyze trends, and help farmers attain higher yields. Holding a Transport Canada-issued Special Flight Operations Certificate (SFOC) for a good portion of the country as well as an FAA 333 exemption to operate commercially throughout the United States, Draganfly pilots are able to carry out detailed inspections of flare stacks, power lines, bridges, pipelines and industrial plants across numerous territories. Draganfly Innovations Inc. founder and president, Zenon Dragan said of the service launch, "Commercial use of UAVs is currently experiencing unprecedented growth as it offers an exceptionally cost effective way to collect unique aerial data which can, in turn, be used to save time, money and lives. We have seen a surge in requests for our specialist operators to carry out aerial data acquisition across numerous industries and felt it was time to offer these services on a commercial scale." TRACE Live Network CEO Cameron Chell said of the launch, "I'm immensely excited as, in just a short space of time, we've been able to put strong, integrated teams in place, able to scale out Draganfly's commercial services offering and take advantage of the major opportunities the market is delivering." Draganfly Innovations Inc. is the longest running manufacturer of multi-rotor helicopters in the world and the maker of the first civilian small Unmanned Aerial System (sUAS) to be credited with saving a life. The company designs and manufactures award-winning Draganflyer helicopters and fixed wing aircrafts, along with Draganview control software. 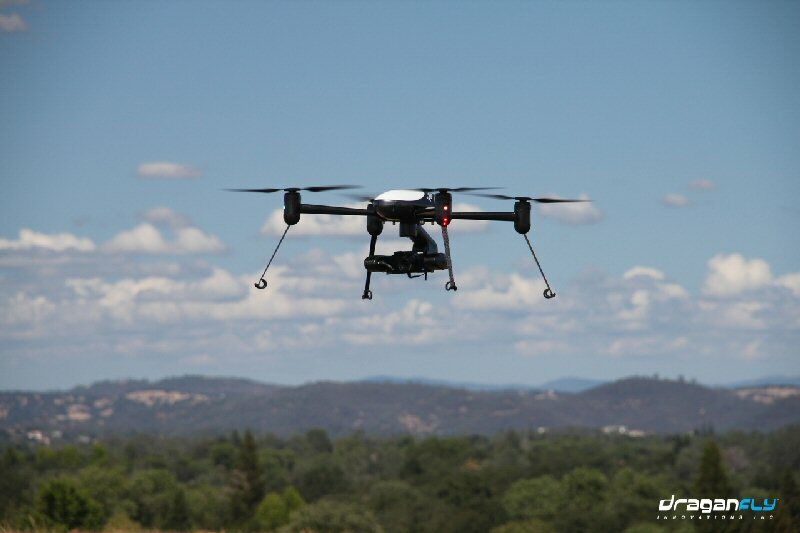 A recognized technology and industry leader, Draganfly is helping to shape the aerial imaging and public safety revolution with its gyro stabilized camera payload systems and digital video down-link technology. Draganfly has reinvented the Unmanned Aerial Vehicle and is defining its use within the emergency services market with the Draganflyer Guardian and X4-ES systems. Draganfly is a wholly owned subsidiary of TRACE Live Network. Please view the Draganfly Innovations Inc. Media Kit here. TRACE.com is a live-action content platform aggregating and distributing streamed footage from globally activated TRACEr devices. The TRACEr is a visually intelligent SmartCamera that autonomously operates a selection of auto-follow devices and live-streams captured user footage directly to the Internet. TRACEr enabled devices allow people to be 'in' their greatest moments and have those moments captured and shared. Wholly owned TRACE Live Network subsidiary, Draganfly Innovations, is a recognized technology and industry leader within the commercial UAV industry. Its devices have helped establish the commercial market and adoption of multi-rotor helicopters for aerial imaging and public safety. Combining this with TRACE visual intelligence is paving the way for the next generation of commercial and consumer applications. For further information and images, please go to the TRACE Media Kit. About this company Draganfly Innovations Inc.